Tony Kirkham, Head of the Arboretum at Kew Gardens, was the guest of honour and key speaker at a head gardeners’ workshop held at Trewithen Gardens. 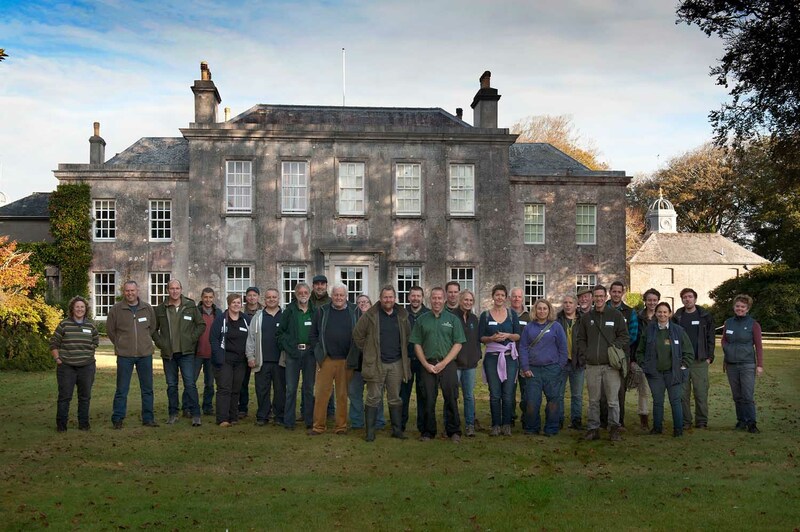 Around 28 senior gardeners from the county’s most prestigious estates attended the event which was supported by Cornwall Garden Society. 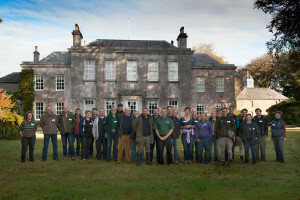 It began with an informal ‘walk and talk’ tour of Trewithen, led by Head Gardener, Gary Long, ending on the famous south lawn – home of several champion trees which are those that have been officially measured by the UK’s tree register and declared either the tallest of their type or as having the widest diameter. Tony went on to share his knowledge, passion and enthusiasm with his fellow gardeners. He concentrated a large part of his discussions on a plant hunter named Ernest Wilson who is remembered for introducing around 2000 Asian plant species to the UK, sixty of which take his name and several flourish at Trewithen. The morning finished with a pasty lunch and Tony was given a cutting of Stewartia sinensis – affectionately known as the elephant’s leg tree – to take back to Kew Gardens.